What’s been exciting about the showreel editing is that much of the work has been from word of mouth. I am so pleased past clients have been recommending me to fellow actors. It means that the work has been aplenty of late but alas this website has become neglected. Please be patient, I will be returning with some great tips and useful freebies that you can find online! Need a voicereel but starting from scratch? Simon Poole is a voiceover artist for many years. He now offers a Voicereel service that not only will enlighten you to this wide and varied field profession but also, through one on one sessions, will find the best text/pieces suited to your voice and also includes a 90 minute recording session in a central London sound studio where you will come away with recordings that could be used towards your first voicereel. From there you will be fully equipped to approach the various casting and voiceover agencies in this competitive yet fulfilling industry. Posted in Latest Websites, News, Review, Showreel Editing	| Comments Off on Need a voicereel but starting from scratch? I met Bill just over 15 years ago. Back then Adobe Flash (or it may have still been Macromedia back then) was still very much alive and the Nokia 3310 was still king of the mobiles – surfing the net on a mobile still a long way off. Much has changed including the sad demise of Flash, which for all it’s faults, was still better than HTML5 is today in my opinion. Just not mobile/battery friendly which was enough to kill it! After a stint on WordPress, Bill recently commissioned me to completely redesign his site, which I have using Adobe Muse. The result can be seen here www.billhomewood.com – and is responsive to tablets and smart phones too. Bill loves the finished site and it has had a popular response on social media too. Thought I’d share some of the websites that I recently completed. Not strictly an actors website, villassistance.fr was fun to build. A responsive site for a new company that will look after your French villa for you when you are away! And another site I run has had a makeover. Actors agent Eamonn Bedford Agency wanted their splash page to have more going on and that’s exactly what we did as you can see on the right. A full width slider and a pinboard layout for the post makes a great alternative to just text and is visually captivating. I type out a lot of CV’s for other actors. This week I’m doing the webpages for an agent with 22 clients. So as you can imagine I’m more than familiar with the trends and fashions that actors are adopting. The last 2 years has without doubt seen one of the biggest transformations in that many actors are now using colour photos for their headshot instead of the traditional black and white. Digital publishing is becoming the staple for the younger generations of agents and casting directors who are sweeping away the old dusty protocols of their predecessors. Given the huge amount of television and film casting that there is now (compared to 20 years ago) and the evolution of higher definition in these medias, who can blame them. And it’s not prohibitively expensive for the actor now to bash out 200 or so colour 10 by 8s. If you’re looking to do a new batch of headshot you can now check out the photographers own website and samples of work. 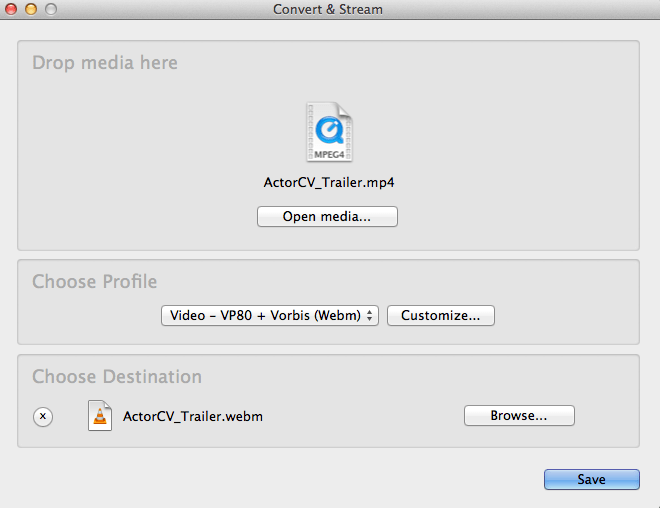 As always ActorCV can help you out there. Check our list of photographers whom we rate on our links page. Time is money, none more so for a casting director. They do not have time to sit through the full ten minutes of your showreel complete with ubiquitous indulgent montage (though there is a time and place for a montage, it is not at the start of your showreel). In this day and age where a click of a mouse is the equivalent of shouting “NEXT”, an actor needs to know how to make a good an impression quickly, succinctly and effectively. It was a mate of mine, Chris Ryman, who mentioned that over in Hollywood where he’s recently started working, CD’s are big fans of the 1-Minute Showreel. A challenge for any editor worth their salt and I love a challenge! So here is Chris’ One-Minute showreel that ActorCV recently did for him. We also did longer versions which we may post later on. Get a site that works on mobiles! When I first started designing websites, one of my first clients was the actress Siri O Neal. She had an impressive portfolio and it was fun designing a website with such great content in it. This was over 10 years ago and was designed using Flash. A lot has happened in that time including the demise of Flash. (Yes it can still be found on desktop computers but it won’t be around for much longer.) And most people surf online using mobile devices which of course weren’t around 10 years ago. These websites require HTML5, not Flash! Using the new Adobe Muse I was able to redesign Siri’s site to work just as it did and have different designs for both desktop, tablet and mobile! Not only does this look good but it also means that the navigation and feel of the site are vastly improved depending on whichever device you are viewing the site on. So here’s your dilemma. You’ve got a video file in .avi format but you need to convert it for whatever reason to .mp4 – or vice versa. Or perhaps it’s two completely different formats but the problem remains the same. How can you do that without fuss. Or without it costing you a penny. VLC Media Player is an open-source (i.e. free and legal) media player that is actually, in my opinion, better and more versatile than the likes of Windows Media Player or Quicktime. The next window, shown here will allow you to select the file you wish to convert (DROP MEDIA HERE), choose the format you wish to convert to (press CUSTOMIZE in the CHOOSE PROFILE section) then select a name for the new file you wish to create (in the CHOOSE DESTINATION section). And you’re done! It really is that simple! The conversion process itself may take lots of minutes depending on how big the file you are converting from and to is, and how powerful your computer is. You can monitor the conversion progress on the timeline of the player itself. It is free to download and can be found here – Visit the VLC Media Download page. Impressive emails! Simple, yet so effective! With a Mac computer it’s easy. Simple browse to the web page you want to send, go to FILE>SHARE>Email This Page. Then when the email window opens up, look to the top right corner drop down box and make sure that “Send Content As Web Page” is selected.